At Rostra Accessories we are pleased to introduce an innovative new way of illuminating and visualizing the area around your vehicle. 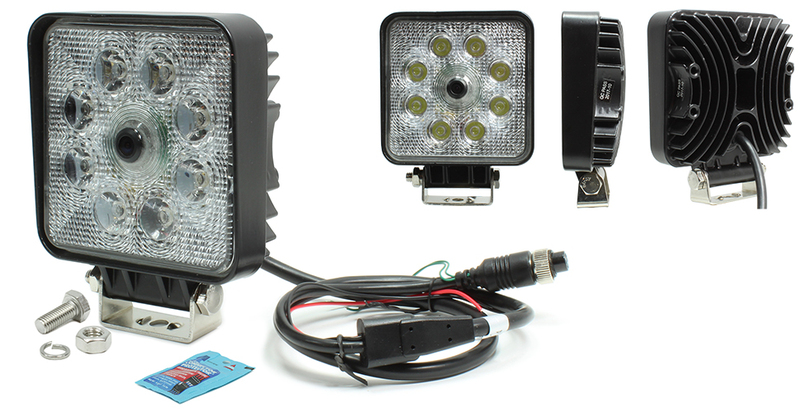 Now available for shipment, our all-new 250-8170 and 250-8171 series of high-power LED flood beam work lamps include a high-resolution CMOS color camera and an array of eight 3-watt LEDs to provide clear visibility in the darkest environments. With their horizontal image rotation capability, these work lamp/camera combos can be utilized in a number of different positions and orientations. Our LED work lamp/ camera devices are available with or without LCD monitors and since the LED lamp is powered separately from the camera, these units can serve as a standalone lighting solution, too! 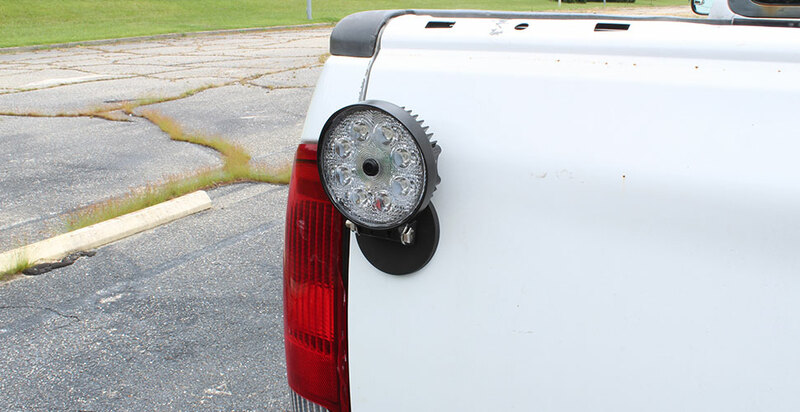 Rostra Accessories is pleased to introduce an innovative new way of attaching our recently-released combination LED work lamp cameras to your vehicle. 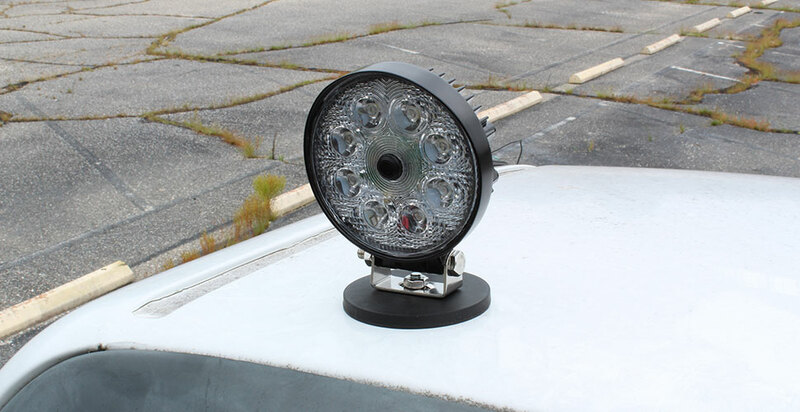 Available for immediate shipment, Rostra part number 250-8170-MAG is a 3.5” rubber-coated disk which incorporates 12 powerful magnets into its base to temporarily or permanently attach an LED lamp or other hinge-mount camera to a metal body panel. 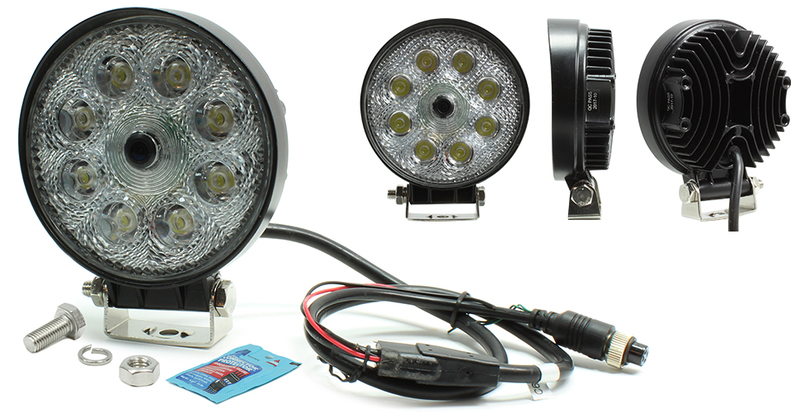 LED work lamps with integrated color cameras are only available through authorized distributors of Rostra products. To locate a distributor in your area, please click here to contact us.